Gujarat is one of the most culturally rich states of India, and for this reason, stands out amongst the other states. 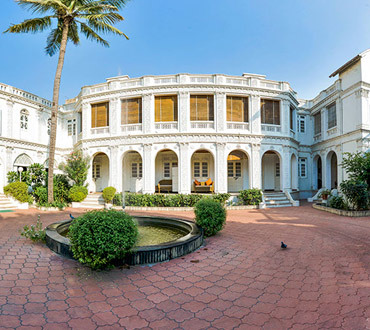 This brilliantly crafted itinerary of 11 days provides you an opportunity of exploring some of the most fascinating and attractive cities of Gujarat like Bhavnagar, Ahmedabad, Jamnagar, Dwarka and Bhuj. Besides these, the itinerary will let you explore the fascinating wildlife of the region at Diu, Sasangir etc. After your arrival in Ahmedabad, meet our representative who will assist you with the transfer to the hotel for dinner. After a hearty breakfast, begin your city tour by visiting the Calico Museum and the Swaminarayan Temple. 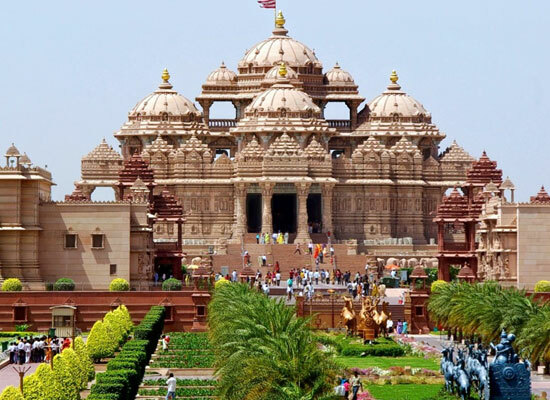 Enjoy your lunch, and in the afternoon, set out to visit the fabulous Akshardham Temple in Gandhinagar. On your way back, visit the Adalaj Stepwell. 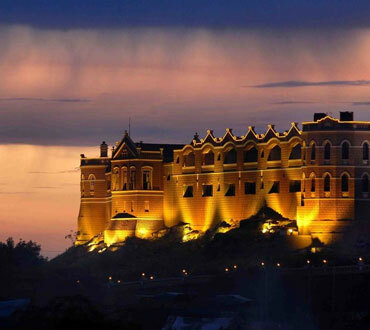 This is followed by a dinner and overnight stay at a heritage hotel or similar property. After an enjoyable breakfast, commence your road journey to Bhavnagar (250km). Visit the ancient city of Lothal on the way. After your arrival in Bhavnagar, rest for a couple of hours. Spending the evening at your own leisure. 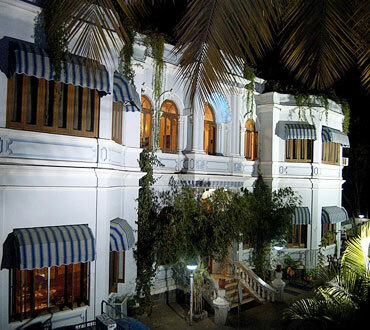 Enjoy your dinner and overnight stay at a heritage hotel or similar property. Post-breakfast, make your way to Diu. Make a stopover at Palitana and visit the Shatrunjaya Temple on the way. Arrive at Diu in the evening. Complete your check-in formalities, followed by a dinner and overnight stay at a heritage hotel or similar property. 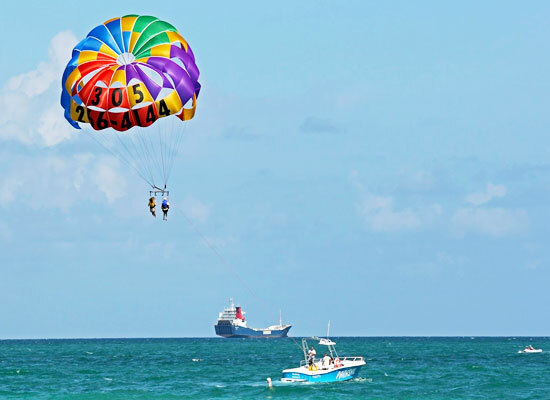 This day is booked for enjoying yourself and having a gala time with fun activities on the beach. This is followed by dinner and overnight stay at a heritage hotel or similar property. Make your way to Sasangir after a delicious breakfast. 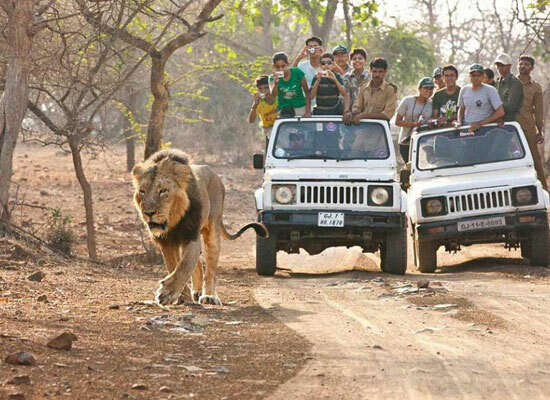 Upon arrival, visit the Sasangir Lion Sanctuary. Enjoy your lunch and then proceed to Rajkot, making a halt at Junagarh on the way. Arrive at Rajkot. Complete your check-in formalities, followed by dinner and overnight stay at a heritage hotel or similar property. After enjoying a hearty breakfast, begin your road journey to Bhuj. Sightseeing here, especially places like the Banni villages, requires the tourists to have a necessary permit. However, you do not have to worry about the necessary formalities, as we are here to take care of it. In the evening, enjoy a leisurely stroll in the market. This day is reserved for exploring the traditional art, culture and lifestyle of the locals in the Banni villages. You get a glimpse of their ways of living and several other aspects of their lifestyle. Make your way to Jamnagar after enjoying a delicious breakfast. After your arrival, head out for a city tour. Explore the markets of Jamnagar, which are famous for their bandhani (tie-dyed) fabrics, silver ware and embroidery. 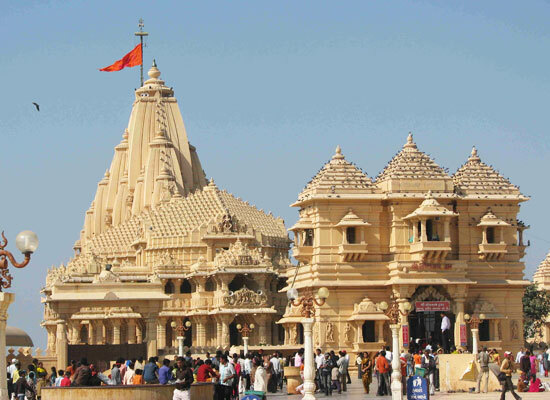 On this day, you will enjoy an excursion to the city of Dwarka. Heavily connected to mythology, this city is home to several sites of historical and religious importance. Explore the city and the various fascinations it holds. You will be assisted with your transfer to the airport to catch your flight for your onward destination journey.